Flights To Port Douglas - 2019 Cheapest Port Douglas (CNS) Flights From AU$171! Sun., 28 Apr. - Sat., 29 Jun. Thu., 4 Jul. - Thu., 4 Jul. Wed., 24 Apr. - Sat., 27 Jul. You’ve been saving for a brand-new smartphone, but your mobile plan will keep. You know what won’t? Your annual leave. Those precious days of freedom are ticking slowly towards their expiration date. Why would you want to live an entire year without dancing on a tabletop or getting as lost as Chris Columbus in another city? Tis barely a life at all! 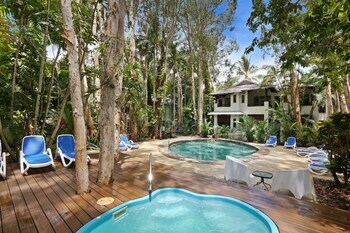 Sounds like it’s time to book one of the best deals on cheap Port Douglas flights on lastminute.com.au. If you thought flights to Port Douglas were out of the question, you haven’t seen the fares on lastminute.com.au. You might say our fares are so low you have to drop it like it’s hot to pick them up. And while that’s not exactly true, we wouldn’t judge you if you did it anyway. In any case, when you grab a huge discount on your flight, we’re happy to report that you’ll still have a healthy budget for spontaneous late-night purchases. You know, for when you really need to buy a fedora and oversized pretzel from some downtown street vendors at 1 a.m. (we’ve all been there). At lastminute.com.au, we make it easy to compare cheap flights to Port Douglas from loads of different airlines. Once you find an itinerary that works for you, booking the flight is as easy as forgetting the bartender’s name after your third drink. There’s no reason to wait—start booking your ticket now, and you’ll be sitting on your suitcase to force it shut in no time (you can never pack too many trousers, we get it). 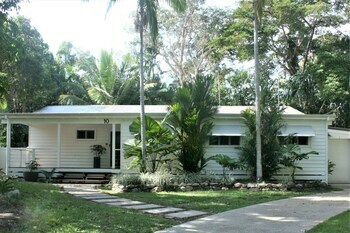 Question : What hotels should I stay at in Port Douglas, and what are some great places to visit? 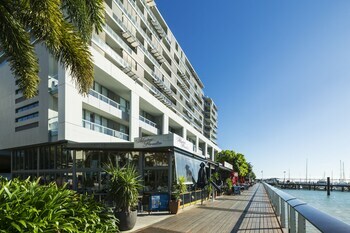 Mantra PortSea is a 4.00 star hotel. 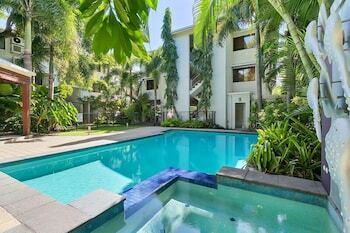 This family-friendly Port Douglas hotel is located near the beach, within 1 mi (2 km) of Marina Mirage, Anzac Park, and Court House Museum. St Mary's by the Sea Chapel and Sugar Wharf are also within 1 mi (2 km). 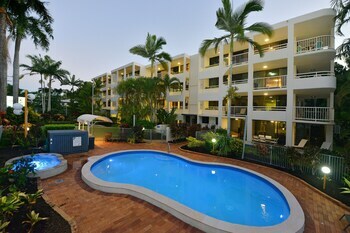 Reef Resort Port Douglas - by Rydges is a 4.00 star hotel. 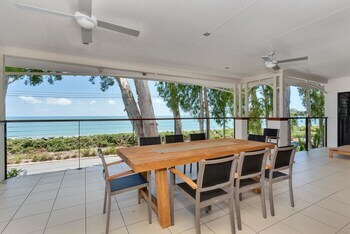 This family-friendly Port Douglas apartment is located near the beach, within 2 mi (3 km) of Four Mile Beach Park and Wildlife Habitat. 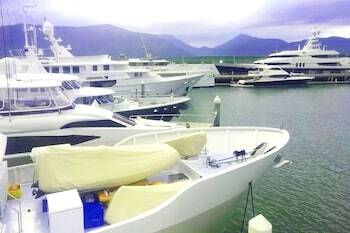 Marina Mirage and St Mary's by the Sea Chapel are also within 3 mi (5 km). 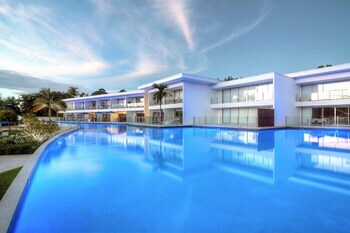 Sheraton Grand Mirage Resort- Port Douglas is a 4.50 star hotel. 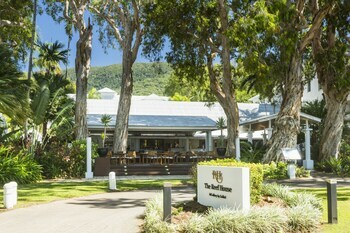 Between the Great Barrier Reef and the Daintree Rainforest, Sheraton Mirage Port Douglas is situated along the white sands and warm blue waters of Four Mile Beach. Cairns is about 70 km (44 mi) south. 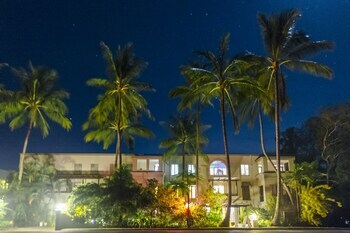 Question : What are the most popular points of interest to visit in Port Douglas? Answer : Port Douglas has 18 mind-blowingly cool sights and attractions you need to see! 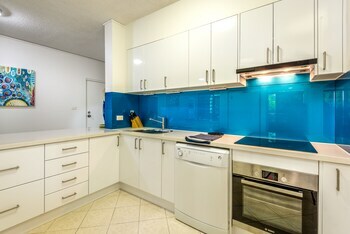 Make sure to check out Great Barrier Reef and Palm Cove Beach. 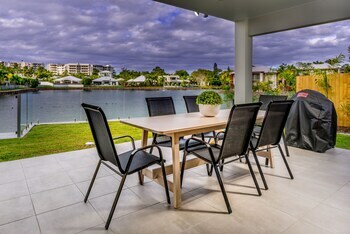 If those aren't quite your cup of tea, check out some other top spots like Cairns Esplanade and Kuranda Koala Gardens. Look out for our deals on rental cars below to make the most of your trip and visit as many of Port Douglas’s sights as possible! 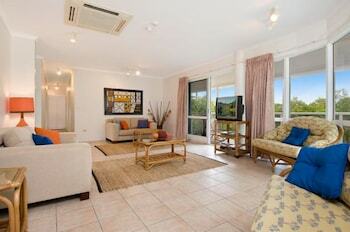 Question : What are the top deals on car rentals in Port Douglas?